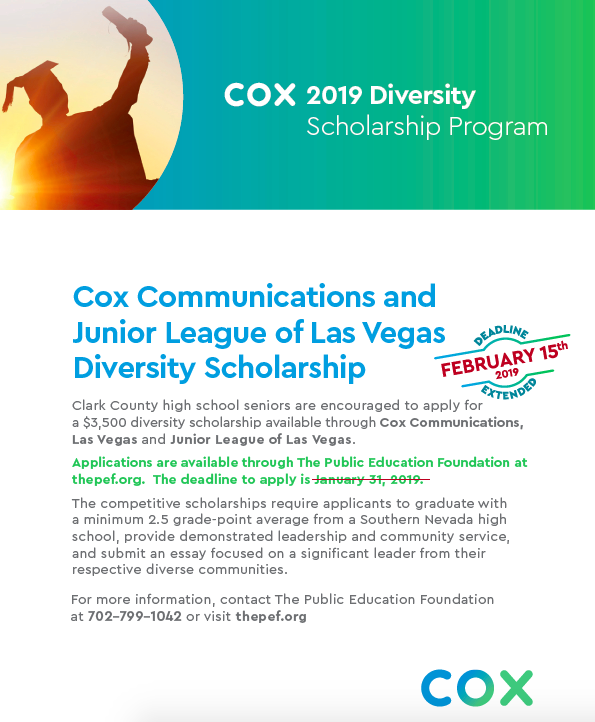 Junior League of Las Vegas and Cox Communications have joined forces again to distribute diversity scholarships to deserving Clark County High School students. Visit thepef.org for more details and to apply. Deadline to apply is January 31, 2019.